Pankritio Stadium or Stadio is a multi-purpose sporting venue located in Heraklion on the island of Crete. Completed just in time for the 2004 Summer Olympics where it hosted a football match between Greece and Switzerland, the 26,240 capacity ground is the third largest in the Superleague Greece. Pankritio Stadium was constructed as part of the 2004 Summer Olympics which was hosted in the games spiritual birthplace, Athens. 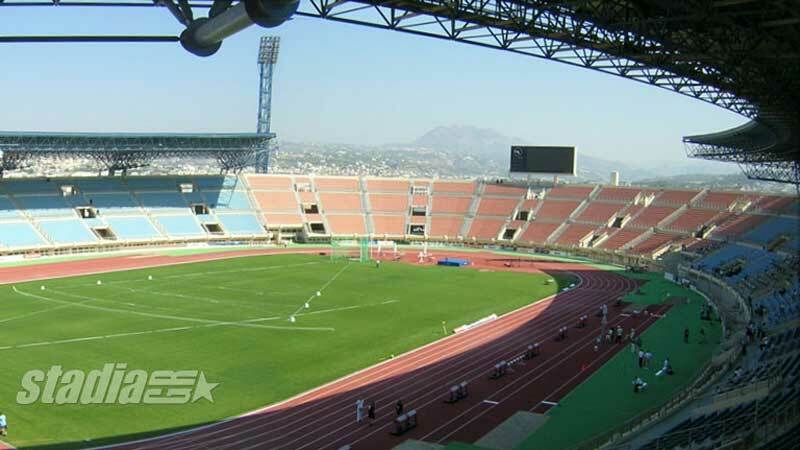 The city of Heraklion was chosen as one of six venues to host the competition’s football matches, and Pankritio was newly constructed along with Panthessaliko Stadium. 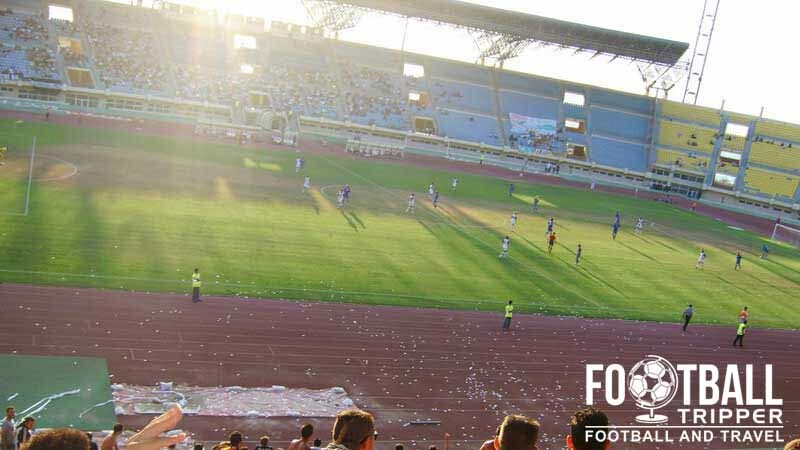 In order for the Olympics to be deemed sustainable, the venues would need to be used after the games, and thus Ergotelis F.C took over the venue after the conclusion of the games. The football club had previously played at a ground known the 20th century Martinengo Stadium however at the turn of the millennium it was slowly becoming dilapidated. 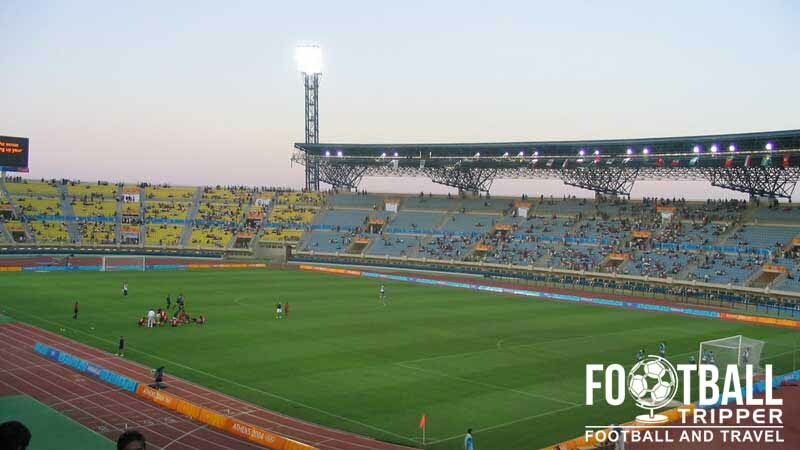 Designed by Vassilis Floudas and associates architects, the stadium which is fully owned by the municipal of Heraklion cost an estimated €50 million euros. 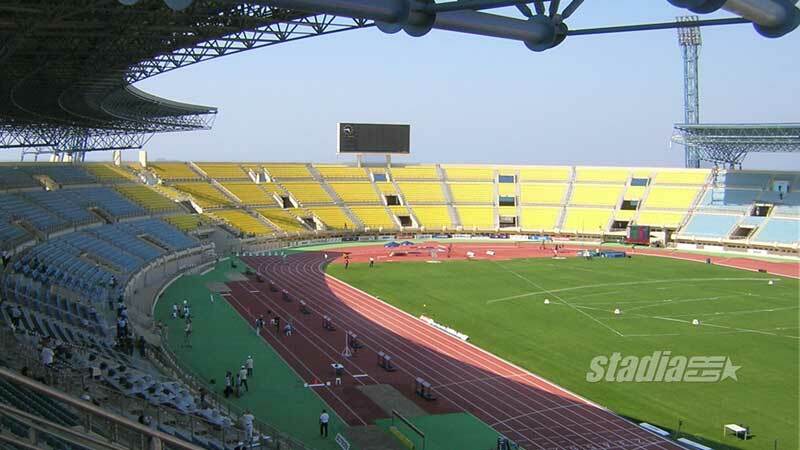 Although constructed to host football matches, the stadium perhaps paradoxically features an athletics track around the perimeter of the pitch although rival football fans may make the case that “beggars can’t be choosers”. The inaugural football match at the stadium came just before the Olympics in August 2004 when Greece took on Switzerland in order to test the facilities. In total Pankritio Stadium hosted six games of the 2004 Olympics including a quarter-final match between Iran and Australia. The opening game between Tunisia and Australia received the highest attendance with 15,757 football fans making the trip on 11th August. Pankritio Stadium is comprised of four stands: North, East, South and West. If any Greek Football Trippers happen to know where the away fans sit inside Ergotelis’ ground then please get in touch so we can update this section. You can usually pick up one or two bits of Ergotelis merchandise on match days however there doesn’t appear to be a permanent club shop at the stadium. The traditional yellow and black colours of Ergotelis F.C. There’s nothing online which suggests there are any tours available of Pankritio stadium. 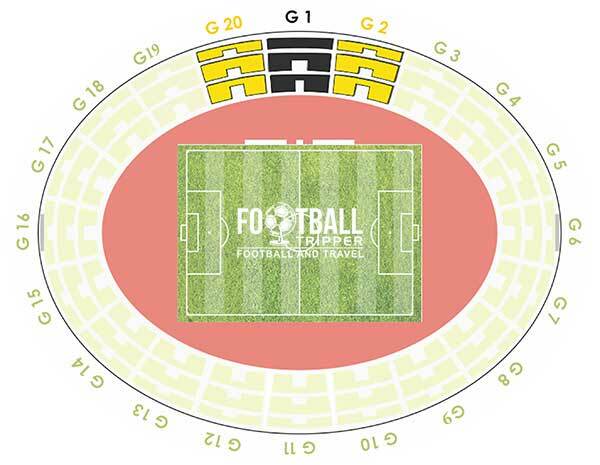 For almost every home match of Ergotelis tickets can be purchased at the stadium before kick-off. Most teams across Greece rarely sell out their ground and more times than not do not sell tickets online. Ergotelis’ home ground is located approximately 4.4km west of Heraklions city centre, although this is slightly misleading as the urban area spreads out across the coastline. From the Google defined city centre you’re looking at a walking time of around one hour however it all depends on your starting point really. There are an estimated 700 parking spaces available at Pancretan stadium within the wider sports complex. Heraklion lacks its own train station as the Isle of Crete generally has underdeveloped railway infrastructure. Most residents travel around the island by driving and most tourists hire rental cars. The island of Crete is served by Heraklion International Airport which is situated to the east along the coastline less than 3km from the city centre. There is such an abundance of hotels and accommodation options overlooking the Gulf of Heraklion that we can’t really be bothered to get into it! Anything within a mile or so radius of Heraklion Fortress is generally in a pretty decent location.